Kitchen Appliances for South Florida, Latin America and the Caribbean. The best kitchen appliances brands. Gaggenau, Thermador, Bosch, Miele, Liebherr, Smeg, Dacor, Viking, The Galley Workstations, Franke, Kindred, Uline, Scotsman, Alfresco, Lynx, Coyote and more. Visit our showrooms in Coral Gables, Aventura or Doral. Our mission is to inspire good living and to provide our customers with the best purchasing and after sales service experience for the world renowned Appliances brands we represent. We are the International Distributor and a Miami Appliance Dealer for the most prestigious Kitchen Appliances Brands such as Gaggenau Appliances, Thermador Appliances, Miele Appliances, Bosch Appliances, Smeg Appliances, Franke Sinks and Faucets, Liebherr Appliances, Best Hoods. We carry an extensive selection of undercounter products such as Uline, Scotsman, Liebherr among other brands. If you are looking to create your outdoor kitchen we have the best Outdoor Grills and appliances brands such as Lynx, Alfresco, Coyote and others. La Cuisine works with the top brands, offering you the best and most innovative products in the market. Our team specializes in kitchen appliances, and is always up-to-date with the latest high-tech equipment as well as all energy-efficient and environmentally friendly appliances. We consider all relevant aspects such as style, size, efficiency, capacity and costs. We help our clients in the decision process by specifying the correct product to meet their lifestyle needs as well as their budget. Visit our store/showroom in Coral Gables, Aventura or Doral and experience fully functioning kitchen appliances in operation to better understand features and benefits. Our experts will be ready to answer all your questions. Kitchens are our business, and creating the dream kitchen is our passion. Futuro Futuro is the leading Italian manufacturer of residential kitchen range hoods, with over 200 models of high-end modern and contemporary range hoods, as well as a selection of classic style hoods. Whether your kitchen design calls for an ultra-slim contemporary stainless-steel hood, a more traditional rounded design, or even a classic white hood with wood trim, our extensive online catalog contains pieces that compliment every style. With over 30 years of design and production experience, we're able to bring truly innovative products to the United States and Canadian markets, backed by our fullest confidence in the quality and fine craftsmanship of our kitchen range hoods. Since our inception in 1980, we have been providing customers all over North America with the highest level of expertise and customer satisfaction. Our challenge was not to merely keep up with the standards of range hood technology - but rather to set those standards. Using only the premier quality AISI 304 stainless steel, exceptionally quiet blower motors, and advanced sound-reduction technologies, the Futuro Futuro design philosophy brings together the best of Italian craftsmanship, cutting-edge design, and high-end materials to produce unique range hood products that set us apart from the competition. Liebherr has been a worldwide specialist in refrigeration for more than sixty years. Driven by innovation and characterized by sophisticated, elegant design, Germany-based Liebherr; a family owned company brings the best of Europe to the refrigeration category in North America. 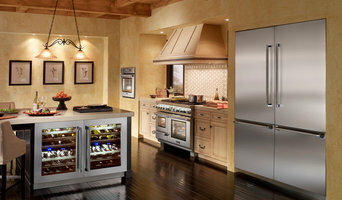 Visit www.liebherr-appliances.com to view Liebherr's full product line of freestanding, built-in and fully integrated refrigeration and wine and humidor cigar storage units. Any questions about appliances? Don't be shy and get in touch with us here! Appliance Installations for replacements for Dishwashers, cooktop, double and single ovens , cooktops and new kitchen projects. We are fully insured with a policy of liability of 2 million. We can get also certificate of insurance for condos at no cost. There would be a condo fee . 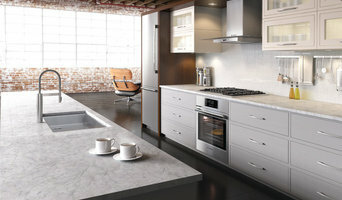 We will do the detail free on a new kitchen if the project is awarded to us. 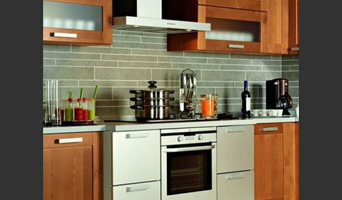 Foster is an Italian manufacturer of premium kitchen appliances and sinks. Foster offers a full range of products that are developed for the American consumer while emulating a sleek and elegant European design. Our range of products includes: sinks, faucets, gas hobs, range tops, ranges, ovens, hoods, dish washers, induction cook tops, and a unique outdoor kitchen. Our products have been developed alongside the most important Italian chefs and kitchen manufacturers and are serviced nationwide. We have created solutions for kitchen environment according to our standards of high performance and attention to energy efficiency, ease of use which is enhanced by our design research and advanced technology, and innovative design which is a result of our vast experience. La Cuisine International is a multinational distribution group of high-end kitchen, plumbing, and home products with commercial and technical support presence in the USA, Latin America, and the Caribbean. Through our distribution partners, retail outlets, and our distribution subsidiaries, La Cuisine International’s mission is to provide our customers with the best purchasing and after-sales service experience for the world-renowned kitchen appliance brands we exclusively represent. Whether you are a designer or architect, residential construction developer or cooking enthusiast, we will be there for you. Trust La Cuisine International as your exclusive one stop shop expert for all your kitchen, plumbing, and home product needs. Your Florida appliance professional might handle any or all of the following jobs: selling, installing, repairing and upgrading both small and large appliances. He or she can advise you on the right equipment for your Fort Lauderdale, FL home, from features to finishes, and is usually in the know about the latest technological advances and bells and whistles. When appliances hit a snag or start to show their age, a pro can advise you whether to repair or replace them, then carry out his or her recommendation. Some appliance professionals work closely with Fort Lauderdale, FL builders, remodeling contractors, and kitchen and bath designers, among others. Here are some related professionals and vendors to complement the work of appliances: Kitchen & Bath Fixtures, Kitchen & Bath Designers, Kitchen & Bath Remodelers, Specialty Contractors, General Contractors. Find an appliance professional on Houzz. Narrow your search in the Professionals section of the website to Fort Lauderdale, FL appliances. You can also look through Fort Lauderdale, FL photos to find examples of rooms with appliances you like, then contact the professional who worked on them.